"Weird Al" Yankovic's discography rivals those of the pop stars he parodies. From "Like a Surgeon" to "White and Nerdy," few hits have been safe from the comedic mastermind. Now, "Weird Al" mega-fans will have the chance to own 15 albums spanning his 33-year career in one accordion-shaped package, Pitchfork reports. As Yankovic announced earlier this week on Twitter, his comprehensive box set, titled Squeeze Box, will be available in remastered vinyl, CD, and digital formats. Collectors who spring for the physical compilation will enjoy the added treat of taking it home in a replica of Al's prized accordion. The set will also include a "bonus rarities album" and a 100-page book of "treasures from Al's Vault." Squeeze Box won't be coming out until summer of next year, but between his current Mandatory World Tour and his new role on the series Comedy Bang! 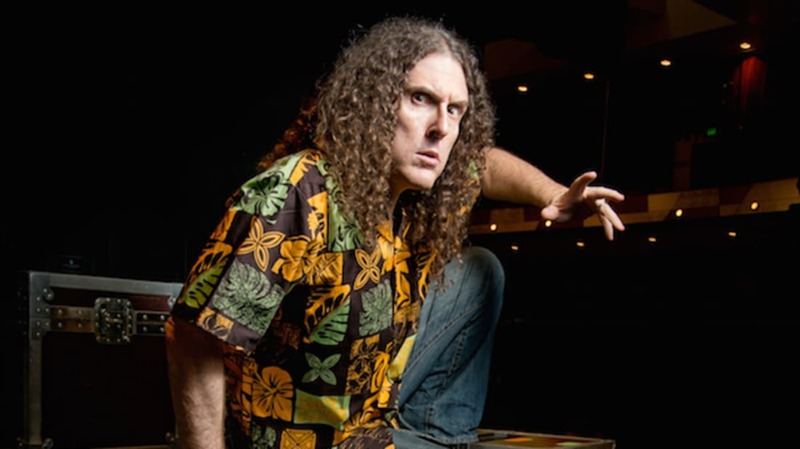 Bang!, there are plenty of places to get your "Weird Al" fix in the meantime.